This is the last day of my organizational papers series and includes not just one but two free printables! I don’t know about you but I love to do lists. I am a very visual person and I find it helpful to write out all of the things that are rattling around in my head. Once it is on paper I can group tasks together and prioritize them. If I don’t have a list to focus on I find that I ramble aimlessly throughout my day and waste a lot of time. 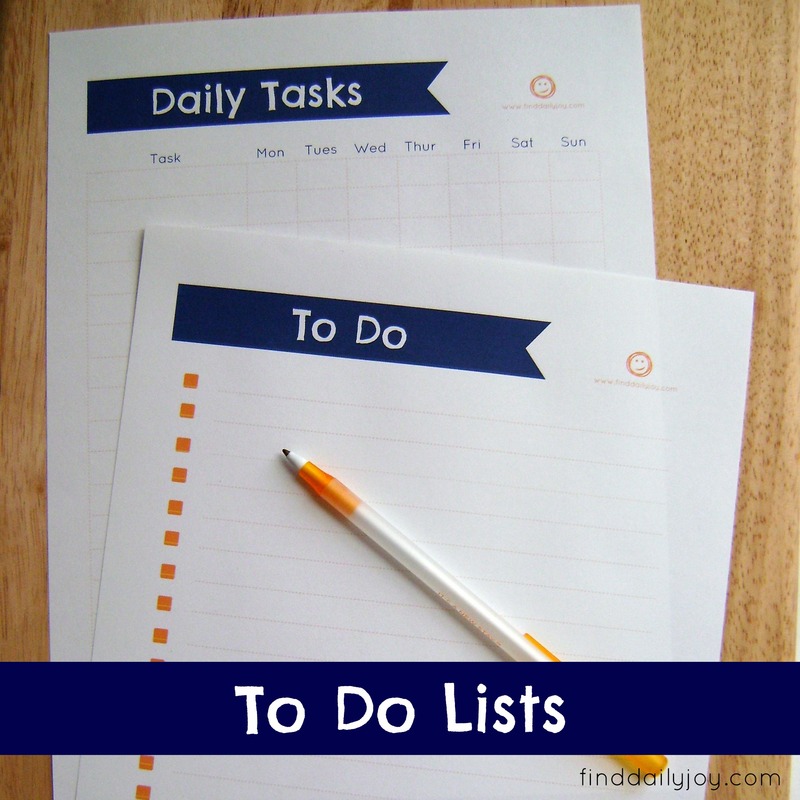 The first printable is a good old fashion to do list. 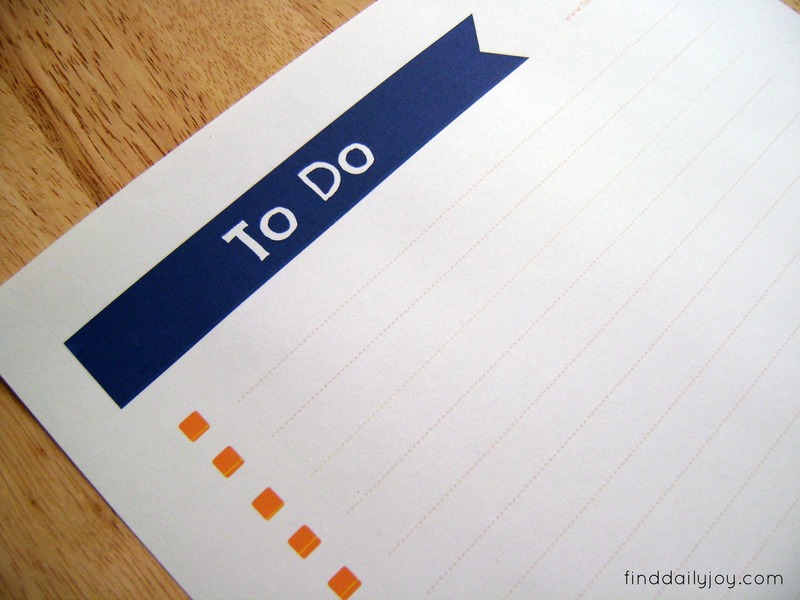 Write out each task that needs to be taken care of and then check it off when your done. To download your free printable right click on the image below and save it to your computer. 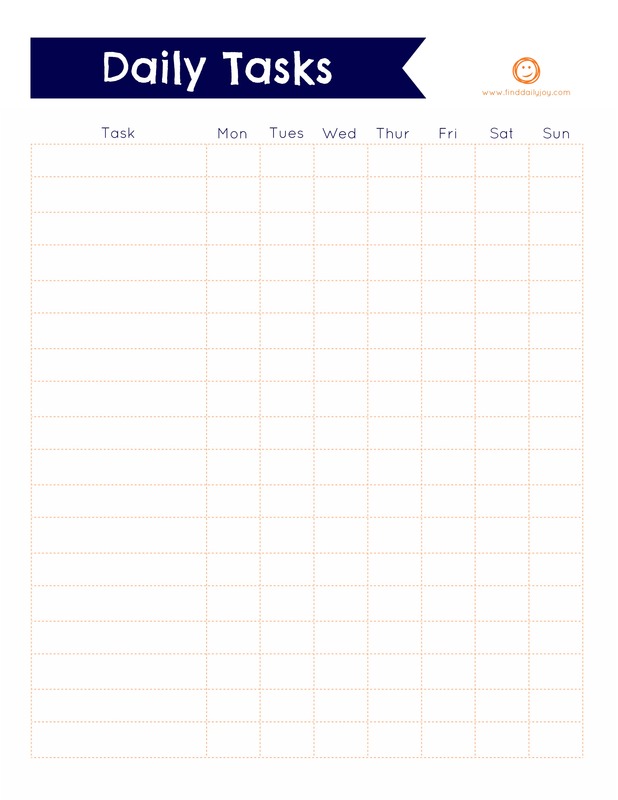 The second printable is a daily task chart. 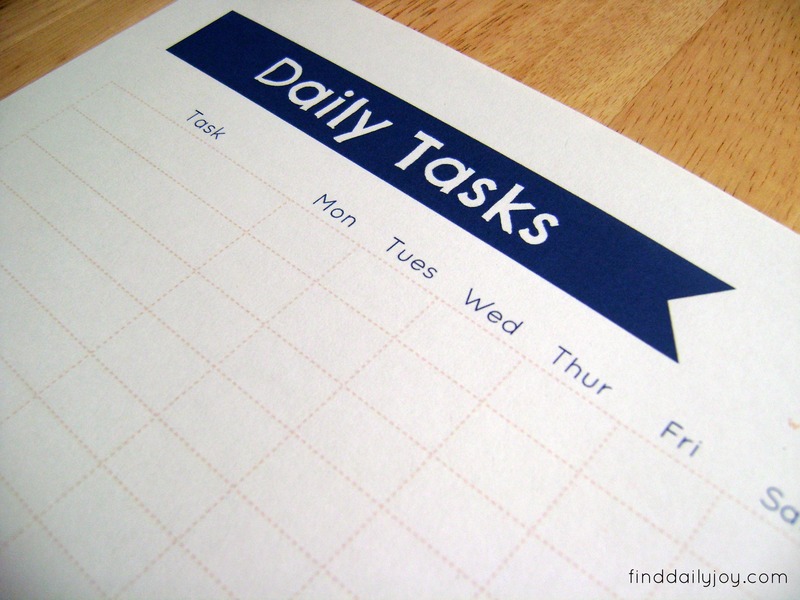 I find this chart helpful in keeping track of all of those repetitive tasks that need to be done every week like laundry, cleaning and exercising. If you only plan to do something like dusting once a week, you can color in the other days that you don’t dust so it is easier to see what you need to do each day. To download your free printable right click on the image below and save it to your computer. Like I mentioned the other day you can slip these printables into a sheet protector and use dry erase markers to write on the protectors. That way you an easily clean the sheet protectors off at the end of the week and don’t have to print off a new list every week. 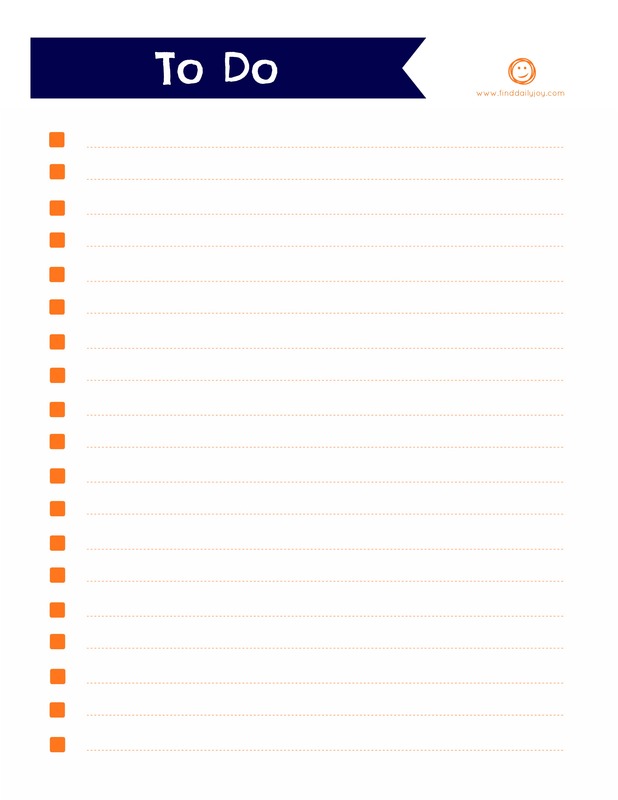 Looking for more free organizational printables? Check out my weekly menu planner, grocery shopping list and weekly schedule. Thank you! I hope you find them to be as useful as I have.